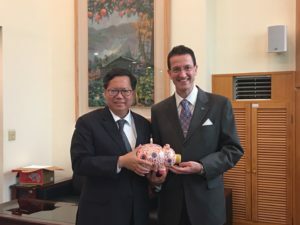 On 12 April, an ECCT delegation led by ECCT CEO Freddie Höglund met with Taoyuan City Mayor Cheng Wen-tsan and his executive team to discuss mutual collaboration ahead on the forthcoming 2019 Global Offshore Wind Summit, organized by the ECCT’s Low Carbon Initiative (LCI) and Global Wind Energy Council (GWEC) on 25 April in Taipei. 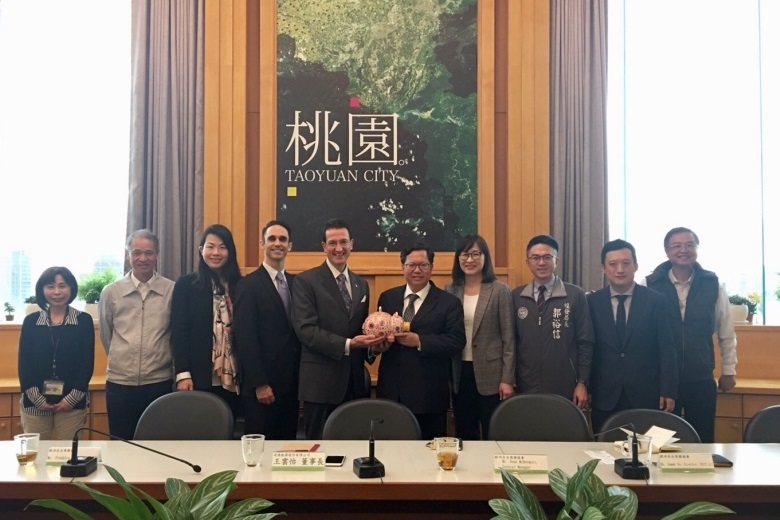 Mayor Cheng was cordially invited by the ECCT to keynote at the summit on how Taoyuan will support the building of local supply chains, talent training as part of the developing the wind industry in the city. 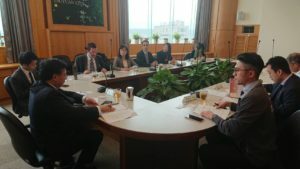 The ECCT delegation included Sean McDermott, from the LCI Steering Committee & the General Manager of Northland Power, and Wang Yuni, ECCT Wind Committee Co-Chai & President of wpd Energy, and Sammy Su, Director of ECCT LCI.